On July 15, 1982 the Maryland Poison Control Center in Baltimore reported that 33 adults and 46 children had consumed a brand new lemon-scented dishwashing liquid named Sunlight. 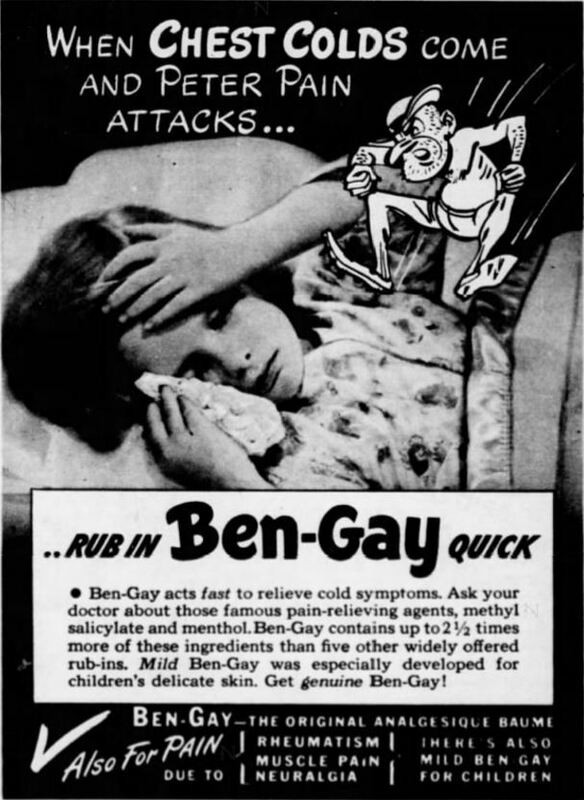 Apparently free samples of the new soap had been mailed by manufacturer Lever Brothers throughout the mid-Atlantic States and as part of their product launch. I even remember my mom getting a bottle in the mail. The bright yellow bottles featured a picture of a lemon slice along text indicating that the soap was made with “Real Lemon Juice.” You know what happened next. The bottle clearly stated “Caution: Harmful if Swallowed,” but people went right ahead and used it as lemon juice. Whether they added it to their iced tea or whatever, the results were not pleasant. 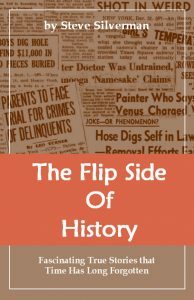 Most typically experienced nausea, vomiting, diarrhea, and sore throats, but none were serious. Should one accidentally consume it, Poison Control advised to simply drink lots of water or milk to dilute it. Better yet: don’t drink it at all. 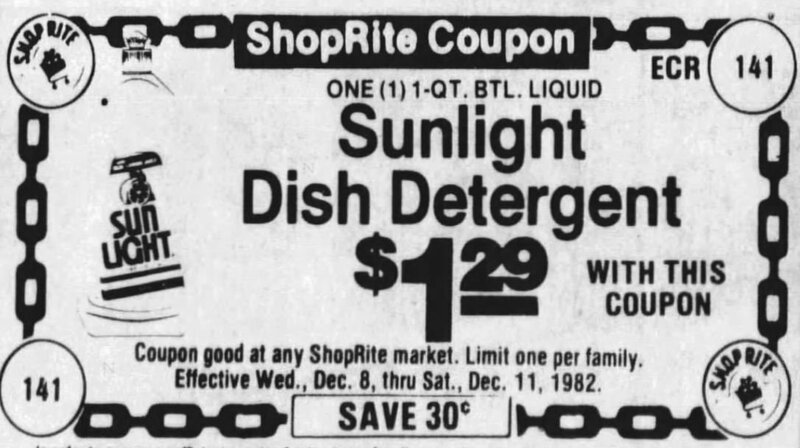 Coupon for Sunlight Dish Detergent from the December 8, 1982 publication of the Morristown, NJ Daily Record.